Home » Solidor Composite Doors » Are you a sherry or glass of milk person ? Are you a sherry or glass of milk person ? At Timber Composite Doors, we love Christmas which is why we always try to brighten up our web site at this time of year with a bit of festive cheer – alas this year our best intentions have left us wide open to criticism from the Christmas purists we have only today received this mail in the office. I have today reviewed your Christmas video and find it sadly lacking in one particular area of fact -the more traditionalist among us always leave Mince pies and Sherry as a midnight snack for Mr C along with a carrot or two for Rudolph and his mates – I am bemused to find that you have so massively mislead your watching public by deviating from this custom. We checked out the video and yes we are messing with tradition and we apologise wholeheartedly to “Disappointed of Dulwich”. “Heads will roll” particularly the head of the individual who proofed and approved this video. 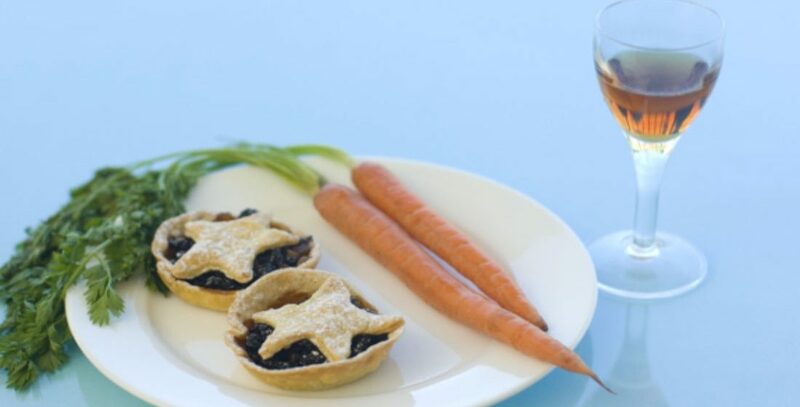 It took us a couple of takes to discover the error of our ways – but we have reproduced a still -see below -and although we could possibly argue that they are not biscuits but very flat mince pies – on the subject of the other two errors we stand “guilty as charged” it’s definitely milk not sherry and as for the carrots we could argue we left them outside because reindeer are not allowed in the house – but we do not think anyone would believe us. Timber Composite Doors Christmas 2016 from Timber Composite Doors on Vimeo. As you would expect in a company that considers itself as professional as ourselves this issue has caused a lot of heartache – how could we get it so wrong – but we have thought long and hard and we believe we have a response that will even pacify purists such as Mr Disappointed of Dulwich. “Now then Mr Claus are you the driver of this sleigh and have you perchance had a small drink tonight? Maybe you should just blow into this bag for us. Surely that would be much worse for the children of the world than our little indiscretion in breaking with tradition so we have composed the following response to Mr Disappointed of Dulwich. Please accept the apology of all at Timber Composite Doors, we were indeed in error in the breaking of tradition with our portrayal of Milk and biscuits rather than Sherry and Mince pies – we ourselves are very much traditionalists when it comes to Christmas so we can appreciate your viewpoint. However, in our defence and that of the individual who approved the video (and is now no longer with the company) we would request that you enter the phrase “milk and cookies for Santa” into your web browser and review the image results – it would appear that there are rather more than just we at Timber Composite Doors, who have wondered away from tradition. Further much as we all like the odd glass of Sherry the consequences of drinking eight million of them may be rather extreme even for a gentleman as portly as Mr C and his subsequent ability to drive a sleigh could be quite badly impaired – milk provides a far better alternative.